The Kardashians have officially debuted their 2018 Christmas photo! The picture features Kim Kardashian with her kids North, 5, Saint, 3, and Chicago, 11 months, Kourtney Kardashian with her kids Mason, 9, Penelope, 6, and Reign, 3, Khloe Kardashian with her daughter True, 8 months, Kylie Jenner with her daughter Stormi, 10 months, and Rob Kardashian‘s daughter Dream, 2. 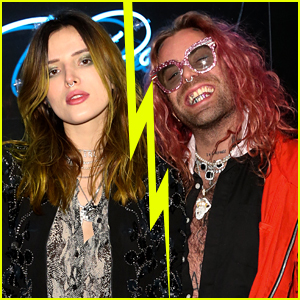 Kendall Jenner and Kris Jenner are notably absent from the photo. Rob is also absent. “Merry Christmas!! ✞ We all wish you love and harmony✞ So far this is by far my most favorite of any Christmas ✞ I have all I could ever want ✞ FAMILY,” Khloe captioned the pic on her Instagram. You can check out the photo on Khloe‘s Instagram right now! Kourtney Kardashian and Scott Disick are spending some quality time together with their three kids this year on Thanksgiving! 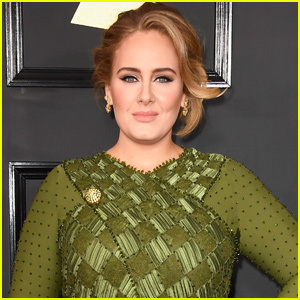 The 39-year-old reality star shared a photo of her and Scott, 35, posing for a photo with their three kids – Mason, 8, Penelope, 6, and Reign, 3. The kids are all wearing matching pajamas while the parents are both wearing camouflage clothing. “I woke up this morning in bed with my children, in the same house as my sisters (minus @khloekardashian 😩😢i miss you), my brothers, the father of my kids, my mommy, my grandma, my nieces and nephew. I feel beyond grateful. Happy Thanksgiving!” Kourtney captioned the photo on her Instagram account. 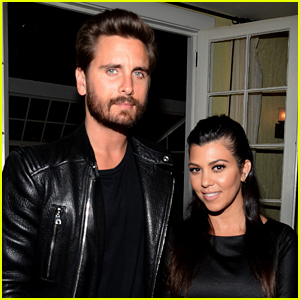 Kourtney and Scott split back in the summer of 2015 after nine years together. 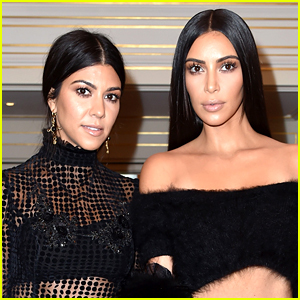 Kim and Kourtney Kardashian‘s kids’ Halloween costumes came right from Kanye West‘s closet! 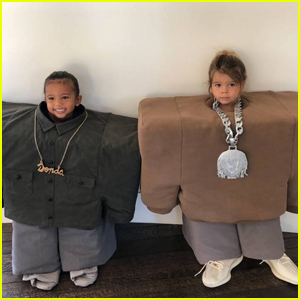 On Wednesday night (October 31), the reality stars took to Instagram to show off their sons Reign Disick, 3, and Saint West, 2, dressed up in the 41-year-old rapper and Lil Pump‘s oversized, boxy costumes from the “I Love It” music video. 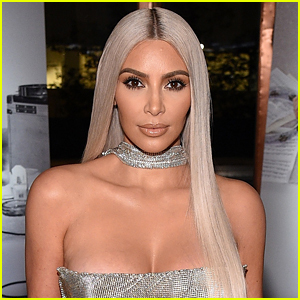 Kim also shared a couple of photos daughter North West, 5, and niece Penelope Disick, 6, dressed up in Kanye and Lil Pump‘s sparkling and still water costumes from their SNL performance. Kourtney Kardashian stops by a frozen yogurt shop for a quick snack on Wednesday afternoon (January 10) in Los Angeles. The 38-year-old reality star showed off her super toned legs while wearing an oversized long-sleeved shirt for her outing with 8-year-old son Mason (not pictured). Earlier this week, Kourtney took to Instagram to share a cute photo of herself and kids – Penelope, 5, and Reign, 3 – enjoying a day at the spa! “Squad spa day,” Kourtney captioned the below photo. Kim Kardashian just shared Day 25 of her family’s 2017 Christmas Card and there is one important member of the family still not featured… Kylie Jenner. 25 photos were released across the first 25 days of December and many fans had the theory that Kylie would reveal her pregnancy on the final day. Instead, the photo features Kim, Khloe, Kourtney, Kendall, Kris, and grandma MJ, along with kids Mason, Penelope, North, Reign, Saint, and Dream. If you haven’t yet, check out the other 24 photos and also see the new pics of Kylie spending Christmas with the family! Kardashian Christmas Card 2017 - See the First 24 Photos! The Kardashians did something different for Christmas this year. Instead of releasing just one standard Christmas card, the family decided to do a “25 Days of Christmas” series, sharing 25 pics from their photo shoot. The card was shot by photographer Eli Russell Linnetz, a photographer and filmmaker who has been working with Kanye West for the last few years. Featured in the pics this year are Kim Kardashian and Kanye with their kids North and Saint, Kourtney Kardashian with her kids Mason, Penelope, and Reign, Khloe Kardashian, Kendall Jenner, Kris Jenner, grandma MJ, plus Rob‘s daughter Dream. Noticeably absent are pregnant Kylie Jenner and also Rob Kardashian.